Maybe one of my relatives will get this for me as a nice Christmas present. Those are just fantastic. Westdiep has to be my favorite out of the bunch. Amazing work, Gandwarf. The sheer detail alone is inspiring (particularly Sirilion), but I am also blown away by your sense of design. Congratulations on what must have been enormous effort. Question? What are the little green objects that you placed around the variously-colored patches of land? Are those shrubberies? Are they symbols or drawn objects? Dogtag, the little green objects are hedges and shrubberies. They are standard symbols that come with City Designer 3. Since I am just in the first stages I am curious how you made thees. What settings did you use for Zoutland? These look fantastic. Very good work. The level of detail on Sirilion is impressive. How long did it take you to develop these? Henrie61: I will post some tips tonight. Dkarr: thanks! Zoutland was only 1 - 2 hours, Westdiep about 10 hours and Sirilion probably 20 hours. I'd be particularly interested in tips on making densly packed buildings, like in Sirilion. I've achieved something similar, but only with hours of really, really painful cleanup around the intersections of streets, and I'd like to hope there's an easier way. Love the blur effect on the fields. Iron Llama: I'll post some hints on that too. Placing houses will still take some time, especially if you have thousands of them like in Sirilion, but I didn't do any cleanup, so we must be doing something differently. Good maps! I was especially pleased to see that CD finally comes with a symbol for docks! dutch206: thanks. CD3 indeed has symbols for docks, but I didn't use them in above maps. Can we get some close ups. Good maps by the way! This is for Henrie61, some information on the Zoutland map. I used the standard effects you will get when you turn on the effects, only for the hill I made some changes. I made the roads with "All city drawing tools" and then picking Road, Dirt 5' smooth. You can just click around your map to start adding roads! All the fields were made with "All city drawing tools" and then picking "Terrain, fields". Again you can just click on the map to just create some different sized fields. I changed the background of the fields a couple of time to get different colored patches. I added hedge and bush symbols (part of the City Designer 3 package) along each field. The houses were made with the "House" tool. Most houses use "CD3A Thatch (No frills)" under the house settings. I also added some stone houses using "CD3A Classic (No frills)". The tower on the hill is a symbol that's part of the City Designer 3 package. - Click on "All city drawing tools"
- Name it something like "Terrain, hills"
- Edit the value under "Sheet" and name it something like "Hills"
- Click "Ok" again and create a hill using this tool and clicking on some points in your map. - After creating a hill you need some effects: click on "Sheets and effects"
- Click the right most "Add" button and select "Wall shadow, directional", enter 1, 20, 6 and check "Use global sun direction"
- Make sure that "Activate sheet effects" is checked and click on "Ok"
You should now have a hill like mine. This is just one way to do hills, I am sure there are better. In the Westdiep map you can see some different looking hills. - First I created a system of roads using the standard road tools you can finder under All "city drawing tools". Roads always come first, it's like that in real life as well. - Next I clicked on the "House" tool. I used the 8th house shape and the "CD3A Classic (no frills)" setting (see first screenshot). - Now just start adding houses in different shapes and pack them really together (see second screenshot). - You can add some more roads and start filling up the empty spaces with houses (see third screenshot). - Now turn on the effects and zoom out a bit. You should have something looking like screenshot 4. The trick is to do a large map so you can zoom out/resize. Because if you zoom in too much it won't look too good. To get my maps I also added different styles of houses in each block, some gardens, some larger buildings, etc. I am mapping a fantasy world I have created and having a blast with City Designer 3. Some more maps. That actually looks more laborious than the method of drawing dense-packed buildings I've been using. After drawing the street grid, I use the random street tool to line all the blocks with buildings (that part goes fast), clean up the street intersections (because the random street tool puts buildings on top of cross streets), and fill in gaps thus created with the building tool. Sorry, should have specified. The picture above is sort of my first stage. Second stage, with intersections cleaned up, is below. Well, that's another way and the end result looks good too. 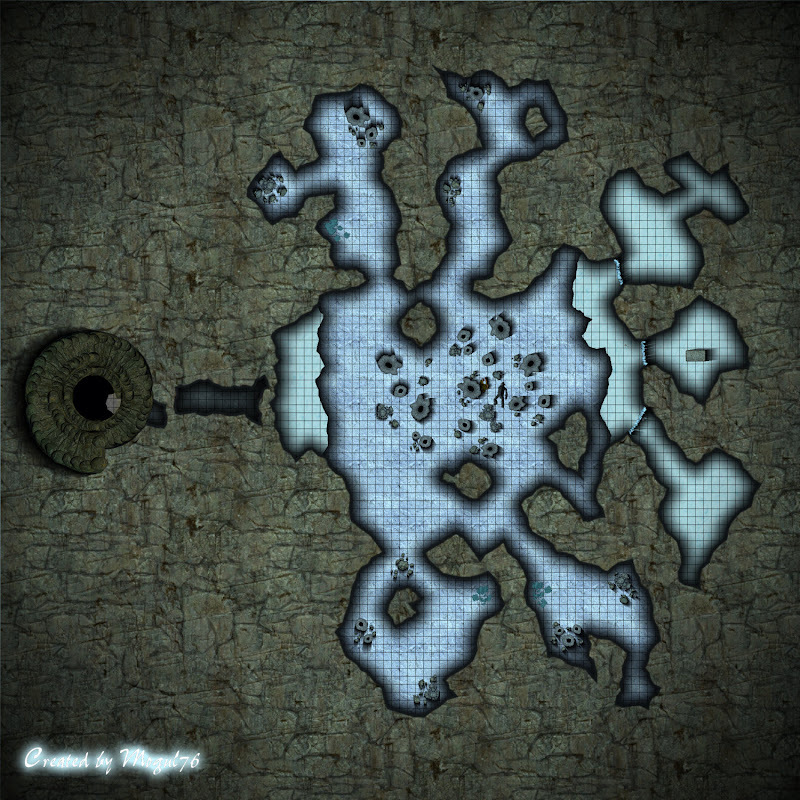 That's what I like about Campaign Cartographer, you can get really different looking styles and maps. Personally, I like hand placing every single building, although it can get a bit tedious in the larger maps. No finished cities at the moment, but this is from something I've been toying with. The tips are greatly appriciated, will try them out as soon as I can find the time. Some great maps and techniques here, thank you. Why do not to put links with cards(maps) in size(format) fcw, that they can be useful in role playing game campaign. It would be very nice from your part. Some more maps I have done recently. You can use them for private stuff, like in RPG campaigns. On Blauwhaven, what are you showing with the gray areas? It is a neat effect. Well, another map. This is the second version of a city that I think I never posted on this forum. It's supposed to be a fortress city. Excellent maps indeed, Gandwarf. You must be THE city cartographer within the ProFantasy community. Since you are using CD3's standard symbol sets (except for the eagle mapping object on "Meerzicht"), is there any chance you can share those FCW files with us? Well, I am pretty protective of the original FCW files. However, in this example map you can see most of my techniques. Keep in mind that I am a very sloppy mapper and I am sure I am doing a lot of things wrong or less efficient. I taught myself to use this program and I am all about the final result. Also I am used to exporting my maps at huge dimensions and then resizing and sharpening them with Paint Shop Pro. This tends to hide some of the bad stuff, like the anti-aliasing (I don't think CC3/CD3 is really good at anti-aliasing or maybe I am doing something wrong). >Well, I am pretty protective of the original FCW files. However, in this example map you can see most of my techniques. Many thanks for sharing that sample file! I really like those two hills in the bottom right hand corner of the Meerzicht map. I assume you are doing those on multiple sheets. Are you using bitmaps or just a grey color for those? Right now I am kinda burned out, so no new maps for now. I used 5 sheets I think and some standard CD3 fills (dirt and stone). I added some effects and I got this result. But again, I can add them to the example so you can reverse-engineer them. They are a bit like the ridges I did in the example. The sample file helps a lot, Gandwarf, and I can understand why you don't want to spend much time on a tutorial. Jaerdaph, were you trying to achieve something like this when you created your cavern map? If yes, I can probably help (I used an "optical illusion" here, as most sheet effects are applied to the FLOOR instead of the WALL sheet). Thank you for sharing Gandwarf. I have been following your work, here and at the Cartographer's Guild. It is very generous of you to take the time to provide us with some tips and with that sample map. I must admit that, while I am enchanted with the beauty and style of your maps, I am truly impressed with your sense of design. What I find most striking is the range and variety of your cities. Can you tell us what you use for inspiration? You saw my tutorials as well? Since 2001 I have been working on a fantasy world and a couple of novels. It started really small, but it has evolved a lot and nowadays I have hundreds of thousands of words on paper. So I have a great backstory for my cities. Also I designed most of the cities with some unique features in mind, making sure each map would feel unique. Concetron is the capital and the palace is very old and located on a cliff. I simple built the city around it. Meerzicht is a fortress town. Sirilion is the most populous town in my world and located on the (steep) banks of a river. Miston, another map I am working on, is located on plains and its economy is based on cattle. The Concetron map has canals like a lot of old cities in the Netherlands (Amsterdam, Leiden, etc). Mogul - Looking at your cavern maps can you tell me how you managed to display the grid only in the caverns and not on the rest of the sheet? I am trying to do this with DD3 and Monsen has given me a coup[le of ideas to try. I was just wondering if there was really simple way that I have yet to discover (I am new to CC3 and add ons). Gandwarf - I do wish you wouldn't keep posting these wonderful towns and cities! Very intimidating. (Big smile and tongue in cheek here). The truth is having seen what can be done led me to buy CD3 along with CC3 and DD3. Profantasy owe you a comission methinks. I will also be downloading your tutorial from The Cartographers Guild as soon as I have time to digest it. I have been looking at the Clay Pits and Jaerdaph's comment gave me an idea. Would it be less of an illusion if the pits got darker nearer the centre rather than lighter? Most holes are gloomy near the bottom, while most hills are lighter nearer the top. Also, perhaps some murky water or a sheen of dampness? I have no idea how, but you're the expert!Just a thought. Simply use the "Copy to Sheet" command on the floor. Target sheet: GRID. Then, change the fill style to one of the "Square Grid" overlays which you will find under "Fill Styles/Symbol Fills". Command: "Edit Properties". This technique is described in one of the 2007 Annuals. I strongly recommend you to get all of them. They are an excellent investment. Would love to see some zoomed in shots of the cementery and the estates. And how did you do the numbers?